We have received news of the assassination of three young members of the Inga Indigenous people in Putumayo. Elkin Farit Sigindioy Chindoy, Armando Mutumbajoy Muchavisoy and Jaime Alirio Becerra Chindoy, between 22 and 24 years of age, who belonged to the community of Oso Cocha-Yunguillo in the Municipality of Mocoa-Putumayo, were viciously murdered by gunfire on 6 October 2018 by unknown actors. The Inga people of Colombia, who live in Caquetá, Cauca, Putumayo and Nariño, are facing physical and cultural extinction because of the armed conflict, drug trafficking, mining, oil exploitation and indiscriminate damage to the Andean and Amazonian forests. The original denunciation of the murders is in Spanish on the ONIC website. In August I participated in a delegation to the province of La Guajira in Colombia, organised by US-based Witness for Peace. 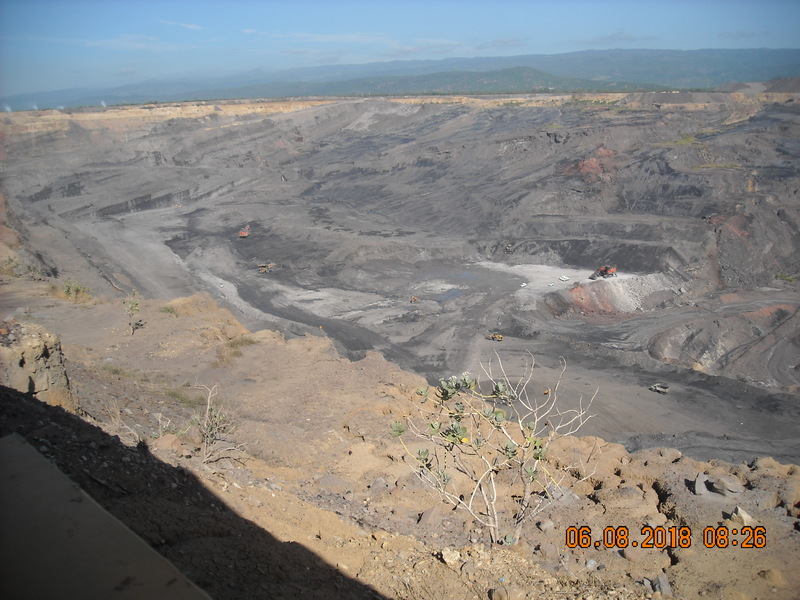 We visited communities affected by the Cerrejon Coal mine, owned by London-listed mining multinationals Anglo American, BHP and Glencore. Visitors from La Guajira Colombia coming! It is sad to see fear on the faces of people you love because of the threats they are receiving. In the face of persecution of social leaders: we continue to march for Peace in Colombia and the continent. Signed by over 120 national and international organisations. Denunciamos la sistemática persecución del Gobierno colombiano contra el movimiento popular, defensores de derechos humanos, líderes y lideresas sociales y étnicos, expresión del terrorismo de Estado imperante en el país. We denounce the systematic persecution and State terrorism which the Colombian government is carrying out against popular movements, human rights defenders, community and indigenous leaders, throughout the country. Letter to the holder of the Nobel Peace Prize. “We must engage in dialogue….whilst respecting the dignity of all. In the name of the Universal Declaration of Human Rights, the concurrent international pacts and conventions, the internal norms that govern the rights of indigenous, black and campesino peoples of Colombia and with respect of the Colombian National Constitution, which protects our right to life, we, the human rights organizations and social movements, whose names appear below, solicit you, as the maximum leader of the Armed Forces of Colombia, to halt orders given to the riot squads, ie the Mobile Anti-Disturbance Squadron (Escuadrón Móvil Anti Disturbios) ESMAD, to continue violent and abusive attacks against comunities who at present find themselves in the National Solidarity Mobilisations or National Minga (Minga Nacional). No to Santos' Dirty War in Colombia! No to Mining Multinationals Destroying the Environment and Communities! Yes to Real Human Rights for All! Yes to Peace with Social Justice!